This item is a doll of 1/3 size. This item is sent out in a fancy box as assembled. If you would like make-up and hand painting, please select it as an option. If pay option is not selected, it will be ordered only for blank head +assembled body+Eyes. Please note that wigs, clothes etc. are not included. It is limited to purchasing from the official site that eyes are attached to the doll. but we made a doll legs not too long, as we wish to create dolls near the real body form. She can wear almost all clothes of 1/3 sized dolls. They are AiL’s original doll eyes. The dome part of the iris is made of glass and the white is resin. Represent the atmosphere of the real human’s skin drawing thin freckles and through dare do not paint uniformly. And painting bluish on the part of thin skin around eyes etc. imaging a transparent skin. We can accept to change the specification, such an easy request as painting blusher uniformly or not drawing freckles and bluishness. Please write on the remarks column ahead the ordering screen, if you request it. You can choose from the "planting" or "paint" for the bottom eyelashes. 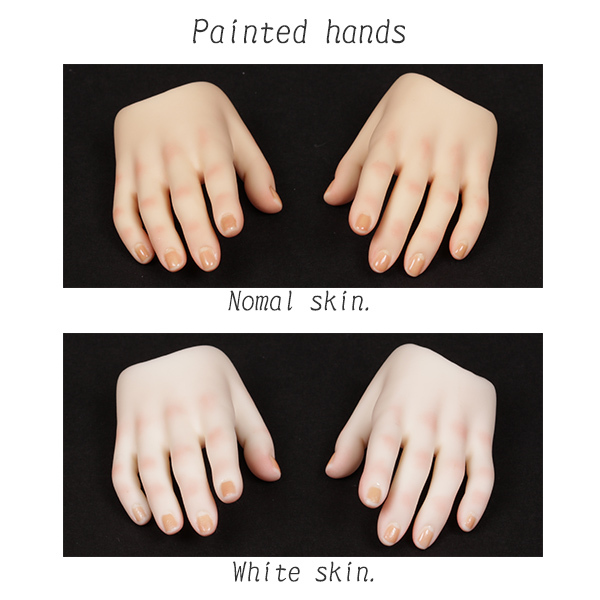 it is also possible to "plant" with white skin or "paint" with normal skin. Paint a red tinge on the hand parts, and represent scrupulously the tip of the nail, or nail half a moon. 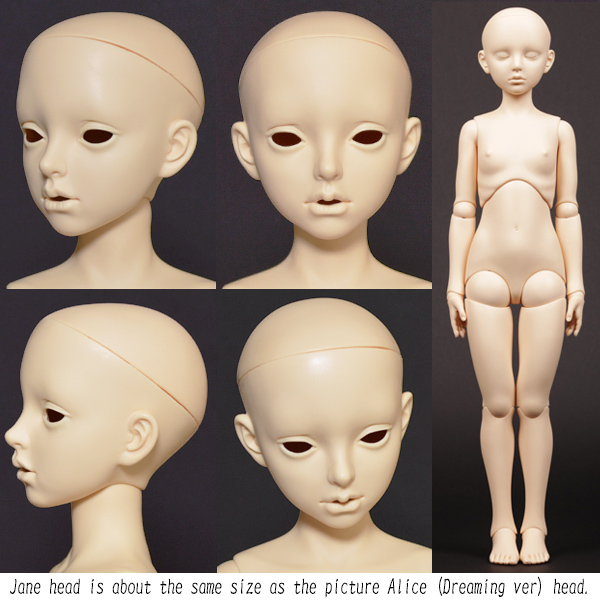 Parting line, it appears when molding doll. but some lines will remain. Parting line removal is a service that uses special tools to remove them and finish dolls in a beautiful state. A teeth part to be fited from the inside by putty is attached to an Jane head.